When working with a team, sharing information quickly and easily is critical. The Quote Roller staff is hard at work making it easier for you and your team to do just that when collaborating on sales. Quote Roller now has a direct save feature onto the Box online file storage platform. 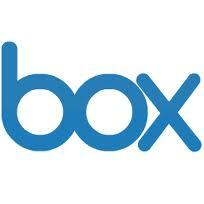 This will enable you to save PDF version of proposals on Box to share with your team members and clients. Proposals saved this way can be viewed directly on Box.com. Enabling this feature is simple. Log into your Quote Roller account, and navigate to settings in the upper right corner. 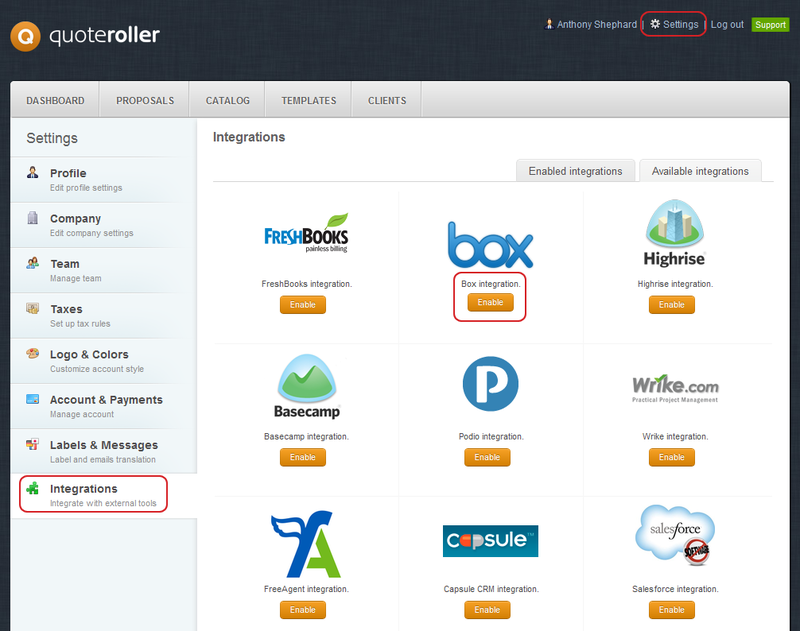 Next, select the ‘Integrations’ tab. Click ‘Enable’ under the Box logo and enter your Box account log in information to log in at Box to finally enable the feature. To save a proposal to your Box storage, navigate to the proposals section. Click on the name of the proposal you would like to upload to Box. On the right side of the screen underneath the ‘Preview the Proposal’ button is a link to save your PDF to Box.